Liuliu Pangpang is an interactive optical-illusion installation. 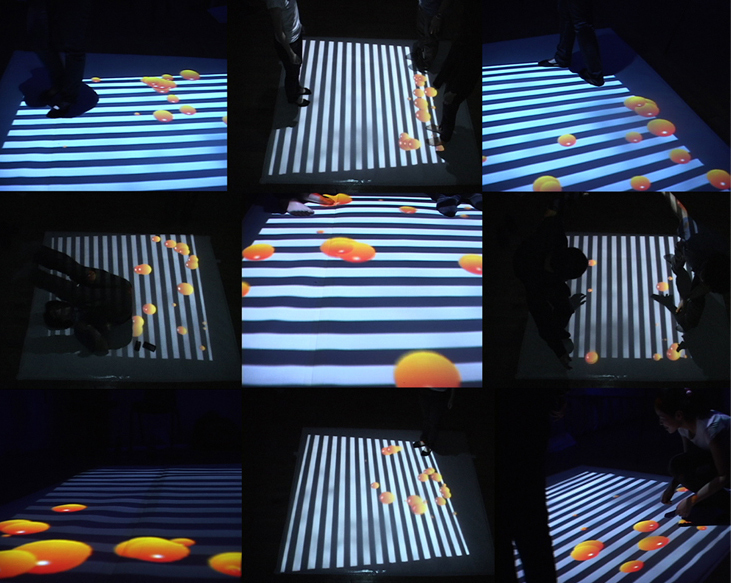 A projected floor dynamically tilts like a see-saw in different directions when people interct with it. Balls inside the floor move according to natural physical laws.The floor’s directions and angles are influenced by the locations and numbers of viewers. The game-like environment encourages viewers to explore body movements and interact with each other.